Glyphosate disrupts gut bacteria, leading to an overgrowth of Clostridium difficile. Its toxic product, p-cresol, is linked to autism in both human and mouse models. “Glyphosate chelates aluminium, allowing ingested aluminum to bypass the gut barrier. This leads to anemia-induced hypoxia, promoting neurotoxicity and damaging the pineal gland. Is Aluminum Cookware Bad For You? I've seen Asktreehugger articles on Treehugger.com and I'm very glad that you're doing this. I have a question about aluminum. I know the health risk aluminum can create for the body if one takes in too much as well as it's link to Alzheimers disease. I know that aluminum cookware, cans, and that antiperspirant can pose health risks. My question is about aluminum "cookware". I've heard cooking acidic foods in aluminum cookware can cause the aluminum to leach out of the pan so I've avoided them. However, I've found a high quality cast aluminum manual juicer by Ra Chand and I'm wondering if this all aluminum juicer will pose a significant risk to my health. ​Do you think the risk to my health will be high if I use it daily to squeeze oranges and other citrus fruits-especially because of their acidity? Could they cause enough leaching of aluminum for it to be a health risk? Or does the aluminum have to be exposed for a relative time period to the citrus for leaching to occur. What would you recommend? however, aluminum cookware is also a potential source. As you note, aluminum exposures have raised some health concerns due to the effects of aluminum on the human nervous system and the much discussed (but inconclusive) linkages between aluminum exposures and Alzheimer's disease. 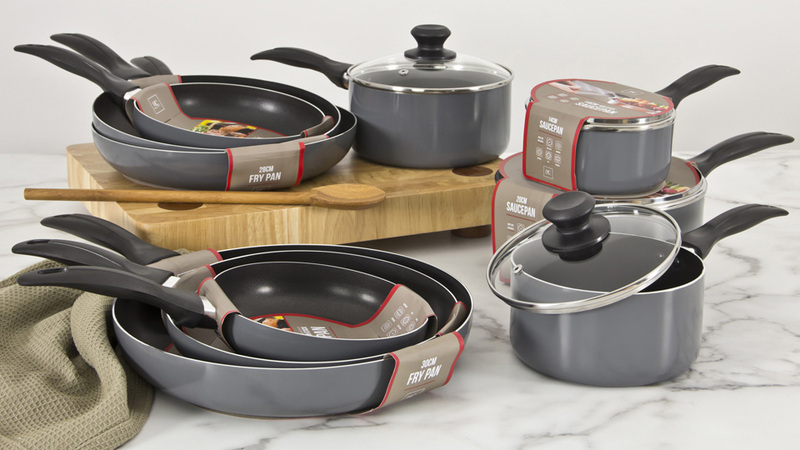 Aluminum exposures from cookware, of which more than half is made of aluminum, is not well studied, but is thought to be a relatively minor source of aluminum exposures. Exposures to aluminum through food can occur when aluminum leaches or otherwise dissolves from the cookware into the food. Leaching is most likely when the foods being cooked or stored are highly basic (like baking soda) or highly acidic (like tomato sauce, lemon juice, oranges, or vinegar). For example, tomato sauce has been shown to contain 3-6 mg aluminum (per 100 g serving) after cooking in aluminum pans, which translates into about one-tenth of the typical daily intake. 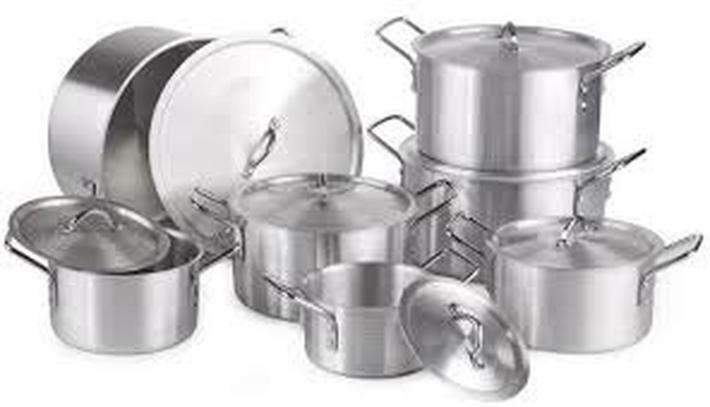 This leaching of aluminum with acidic foods does not happen with aluminum cookware that is anodized, or electro-chemically processed to seal the aluminum in the cookware. Clemson University Extension’s Home and Garden Information Center tested different cookware types, and found anodized aluminum cookware to be safe. Regardless, it would probably be wise to store tomato sauce and other acidic foods in something other than an aluminum pot. As for the juicer that you mention, I did a quick and non-exhaustive check of various websites, none of which said that the juicer is made of anodized aluminum. One site did say that it was made of acid-resistant aluminum and chrome, suggesting that the aluminum is somehow sealed and that leaching of aluminum will not occur during the juicing process. An easy way to check for this is to look at the juicer and see whether the aluminum becomes pitted or pock-marked after several uses. Since leaching takes time and juicing is a relatively quick process, this pitting would not occur immediately but would rather occur over time. As a result, you should probably continue to check your juicer for pitting over time. (Please use a descriptive email subject line and mention if you want to remain anonymous or not). ARE YOU OR FULL OF ALUMINUM? You may have read or heard of news articles about aluminum being a possible cause of Alzheimer' s disease, paranoia and learning disabilities. Alzheimer's disease robs one of memory and life. It has to be one of the most terrible and dehumanizing things that torments our modern society. Aluminum has a special affinity or liking for the brain and nervous system and heads straight for them. This pollutes and interrupts their function. Herbal practitioners have also confirmed that the glandular functions of many men and women have been restored when aluminum contamination is flushed from the body. Many baffling and confusing conditions that have not responded to anything all of a sudden clear up. You may ask, "Where does all this aluminum contamination come from?" That is a fair question. Here are a few of the most common sources: soda pop, beer, etc. in aluminum cans, baking powder used in our baked goods, aluminum drying agents in powdered food to prevent caking, aluminum cookware, baked potatoes and other foods baked in aluminum, over-the-counter preparations for upset stomach that contain aluminum-hydroxide, industrial manufacturing processes that dump aluminum into our air and water. . . and don't forget one of the worst things for a woman's body, underarm antiperspirants made with aluminum-chlorohydrate. Be aware that salt has not been required to list its ingredients and yet may contain aluminum. Other products may list aluminum as alum or as a compound such as silicoaluminate. This may be deceiving you into thinking you have found safer food solutions. Using aluminum pots and pans, or cooking and storing food using aluminum foil increases the amount of aluminum that your body ingests, also many city water purification processes use aluminum sulfate to clarify the very water that you drink! You have to figure whatever you put under your arm will wind up in the breasts and other parts of the body. You can see this is especially bad for women, and imagine the problems it can cause with the breasts. Put another way, we can safely say that most cancers in the body are caused by poisons. Perhaps a little aluminum now and then does no great harm, but constant use of it, especially from so many man-made resources, can constitute a health threat. You hear much these days about bones not being able to retain enough calcium. It may interest you to know that aluminum competes with calcium for absorption in the body and lowers the female hormone, estrogen. It is not just people who suffer from aluminum poisoning. Our dogs and cats fall prey to this aluminum contamination as well. Manufacturers of pet food, especially the dry type in bits, commonly use aluminum to keep it dry. If you notice that your pet has dry lusterless hair, is listless, has no energy, chewing wallboards and such and attempting to catch unseen things in the air, suspect aluminum poisoning. Their blood tests quite often show, along with aluminum, pancreas, liver and kidney damage. Home-made dog foods can help a lot. Interestingly enough, despite all the piles of scientific evidence from animal hair and skin analyses, our Food and Drug Administration and the National Institute for Health have shown no interest in investigating this situation. For people and pets, the use of sea vegetables, especially one known as Bladderwrack, does wonders for flushing aluminum out of the body. This can be added to one's diet rather easily. For a person, 10 to 40 drops of a type of algae, liquid Bladderwrack (known as an extract) or one to four capsules per meal. And for a pet, depending on size, one to ten drops per meal or one to four capsules per day. Aluminum is a prime receiver for electromagnetic signals from information technology, and it’s being used to maintain a slave race dedicated to the matrix. Aluminum is the main atomic element that is used to maintain the slave program. This element is a prime receiver of electromagnetic signals and this can been proved by merely noticing what material an aerial on the radio is made from — aluminium, of course.